The MCSOW is available supplied either on tape and reel or packaged within trays. T&R standard pack size is 250~500pcs and standard tray size is 50pcs per tray. Partial quantities may be supplied on tape (no reel), partial trays, or in bulk. The 2.5V MCSOW offers high shock and vibration resistance over wide operating temperature ranges including -55 to +125°C military temperature range. 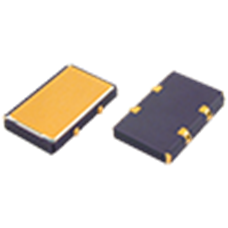 This oscillator provides CMOS output with excellent frequency stability. The MCSOW also features optional J-lead package terminations and the choice of enable/disable tristate functionality in pad 1. This oscillator is available at low frequencies within the 10.0kHz~20.0MHz frequency range. To request a quotation for the MCSOW please use the configurable options form to choose the options you require and then submit your configured product to our team. Our expert advisers are always happy to help with your requirements and can be contacted on +44 1460 256 100 or at sales@golledge.com. The 5.0V MCSO offers high shock and vibration resistance over wide operating temperature ranges including -55 to +125°C military temperature range. This low frequency oscillator provides CMOS output with excellent frequency stability. The 5.0V MCSOH offers high shock and vibration resistance over wide operating temperature ranges including -55 to +125°C military temperature range. This high frequency oscillator provides CMOS output with excellent frequency stability. The 3.3V MCSOHV offers high shock and vibration resistance over wide operating temperature ranges including -55 to +125°C military temperature range. This high frequency oscillator provides CMOS output with excellent frequency stability. The 2.5V MCSOHW offers high shock and vibration resistance over wide operating temperature ranges including -55 to +125°C military temperature range. 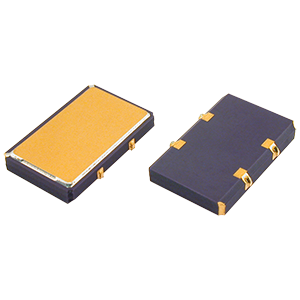 This high frequency oscillator provides CMOS output with excellent frequency stability. The 3.3V MCSOV offers high shock and vibration resistance over wide operating temperature ranges including -55 to +125°C military temperature range. This low frequency oscillator provides CMOS output with excellent frequency stability.